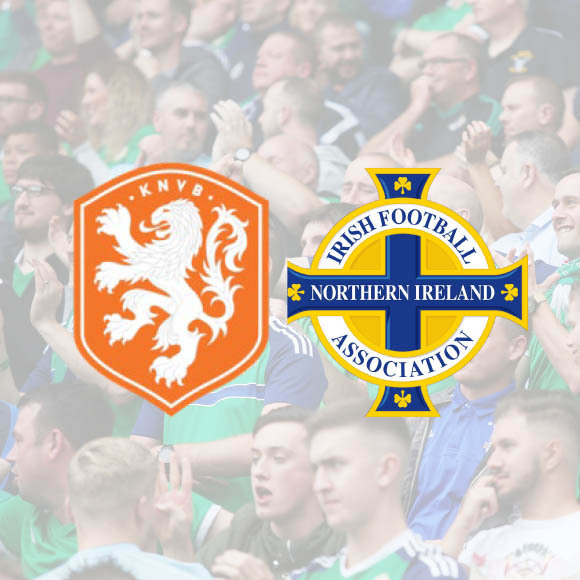 We’re going to the Netherlands as Northern Ireland look to qualify for the Euro 2020 finals which take place across Europe. Day 1: Late afternoon direct flight from Belfast City Airport to Amsterdam, arriving in the evening. Transfers from the airport to the hotel and you are free to spend the rest of the time at your leisure. Day 2: If you travel on the 8th, this will be a free day for you to spend at your leisure. If you travelled on the 9th, then day 2 is matchday and you make your own way to the stadium. The match is being played in Rotterdam, so we will look to put on coaches. This will be at a small additional cost. Day 3: This is the opposite of Day 2 depending on which date you travelled out. Day 4: Transfer from the hotel to the airport to catch our afternoon direct flight back to Belfast City, arriving late afternoon (due to the time difference). Return direct flights from Belfast, minimum 3* hotel room with or without breakfast, and return airport transfers in Amsterdam. Saver price: from £411 per person plus £4 per person booking fee. Single travellers or groups with odd numbers will have a from £82 single supplement charge for the rooms. Order of sales: Early Bird (from £387 – SOLD OUT) then Saver (from £411), Full Price (from £435) and then On Demand dynamic pricing. Each category will progress after a certain number of bookings or date is reached, whichever is sooner. *Important: We managed to secure a limited number of spaces on each trip at the published prices. We do have extra spaces on option after that, but you will see a bit of a jump in the price – this is due to high demand for flights and hotel space. Flight and hotel room upgrades may be available on request and at an additional cost. To add breakfast once you are in Amsterdam, the hotel will charge 11.50 Euros per person per day. Please note the hotel rooms consist of double beds. It’s the standard format of the hotel. It’s location is a 2-minute walk to the nearest subway and takes about 5-10 minutes to get into the very centre. *Does Passenger 7 want to hear about future Northern Ireland news & trips? *Does Passenger 8 want to hear about future Northern Ireland news & trips?